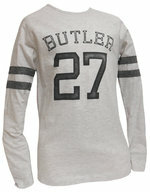 Long sleeve crew neck Nike tee shirt. 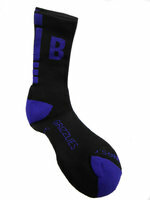 heather gray, with "Butler" imprinted in purple on the upper front. 80% Cotton 20% polyester. 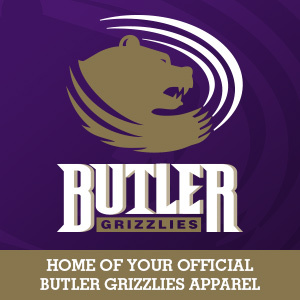 Purple long sleeve tee shirt with lace up v-neck, "Butler" and the Grizzly power head imprinted in white on the upper front, "Grizzlies" imprinted in white across the upper back. Rounded shirt tail hem, 100% cotton. Black Gloves with grip pads. "Grizzly" logo on each wrist. 8" bear available in white or golden brown. 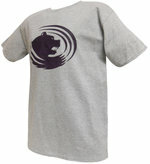 This irresistible bear is wearing a purple t-shirt with "Butler" imprinted in white across the front. Please specify color choice in the comments section during check-out.